Before the meeting, a Nato committee drafted plans "for promoting stability in eastern Europe in the current context" by increasing military co-operation with Armenia, Azerbaijan, and Moldova – all in Russia's "near abroad" and considered by Moscow as falling within its sphere of influence. 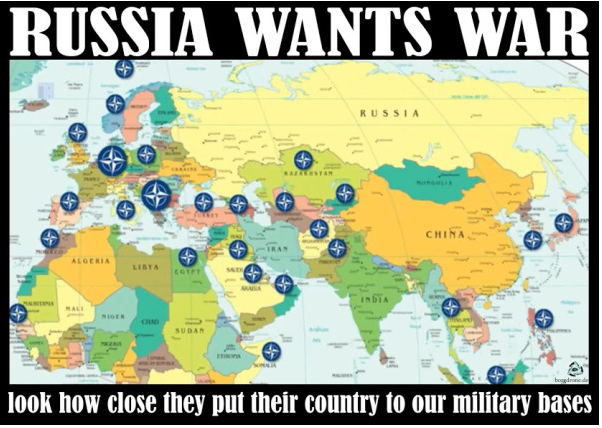 A confidential seven-page paper leaked to the German news weekly Der Spiegel proposed joint exercises and training between Nato and the three countries, increasing the "interoperability" of their militaries with Nato, and their participation in Nato "smart defence" operations. The paper also proposed opening a Nato liaison office in Moldova, military training for Armenia, and projects in Azerbaijan aimed at securing its Caspian Sea oil and gas fields. Azerbaijan plans to increase the number of the officers serving in NATO in summer, the press service of the Defense Ministry reported on March 25. At the present time, seven officers of the Azerbaijani Armed forces serve at several NATO headquarters. Furthermore, about 900 servicemen's are expected to participate at 90 events in the framework of the Individual Cooperation Program with NATO in 2014. Some 81 of the events are scheduled to be held in foreign countries and nine of them in Azerbaijan. Over 1000 Azerbaijani soldiers attended 100 events in this program last year. Most attention was paid to the issues of defense strategy, military training , military education, material-technical supply, logistics , international humanitarian law , budget and resource management and others. 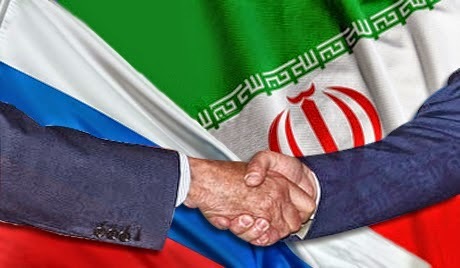 The Russian Cabinet of Ministers is discussing a new scheme for possible Iran oil deliveries via an independent trader, instead of Russia's oil giant Rosneft, the Kommersant business daily said Friday, citing Russian government sources. "This will be a company registered in Russia, which does not work on the international markers, as opposed to Rosneft. In other words, there will be no pressure tools on it," Prime business news agency cited Kommersant sources as saying. The Collective Security Treaty Organization (CSTO) is expecting breakthrough attempts by Afghan armed gangs across member-states' borders, but rules out a large-scale invasion, CSTO Secretary General Nikolai Bordyuzha said in an interview with ITAR-TASS. According to the CSTO secretary general, the number of clashes on the Tajik-Afghan border has increased by several times to 35 in the past six months. "These are attempts by armed gangs to break through the state border of Tajikistan, they are drug mafia and armed groups engaging in other things, such as politics," Bordyuzha said. On top of that, CSTO is expecting attempts to ideologically influence the population of Central Asia countries and set up underground extremist groups in CSTO member-states which would be led by Afghan emissaries. The most intriguing suggestion to come out of the meeting, though, is that regional countries are apparently discussing plans to strengthen regional power brokers in northern Afghanistan as a means of combating the spread of instability into Central Asia and Russia. "Russia and its allies in the SCO and the Collective Security Treaty Organization, after the withdrawal of international forces from Afghanistan, will create on its borders with the [post-Soviet states] several buffer territorial formations, which will prevent the infiltration of instability from that country into other governments," Russian newspaper Nezavisimaya Gazeta reported, citing "military-diplomatic sources," saying that plan was discussed in the closed session of the Khujand meeting. "Similar mini-governments existed in Afghanistan in the 1990s." As previously discussed, especially Uzbekistan's government is in favor of creating "mini buffer states" in northern Afghanistan and there have already been talks with Abdul Rashid Dostum, who is one of the preferred regional power brokers. 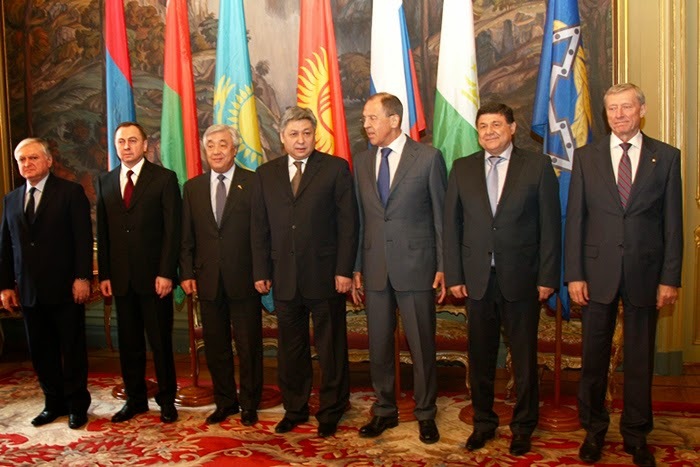 If CSTO and SCO go ahead with these plans, this will most likely entail a rapprochement between Uzbekistan and Russia. Relations between the two countries have been problematic in the past, as demonstrated by Uzbekistan's withdrawal from the CSTO in 2012. 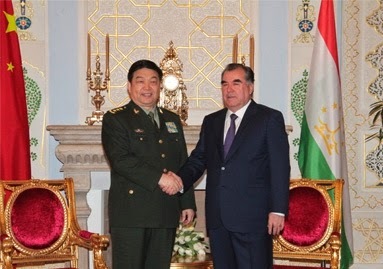 China's defense minister, on a visit to Tajikistan, has promised the Central Asian country "hundreds of millions of dollars" in military aid which -- if true -- would be a dramatic policy change for Beijing, which has focused more on economic ties in Central Asia. “China is satisfied with the level of bilateral cooperation in all spheres, including military and military-technical and guarantees assistance to Tajikistan in the strengthening of its defense capacity,” Chinese Defense Minister Chang Wanquan said. He said China would supply military uniforms and help in the training of military personnel, adding that this would involve “hundreds of millions of dollars”. Already in April Tajikistan will witness a substantial inflow of American politicians and experts. Washington and Dushanbe are planning to conduct bilateral political consultations in the area of economy and security. But the main goal of the US delegation is to offer Tajikistan a chance to participate in the American program the New Silk Road. According to Alexander Knyazev, an oriental studies specialist, another hidden goal of the American concept of the New Silk Road is to change the format of relations on the post-soviet territory. Washington's plan assumes a gradual re-orientation of Tajikistan from its traditional economic ties with Russia and Kazakhstan towards developing contacts with Afghanistan and Pakistan. However, the analyst doubts that the American project would be economically beneficial for Dushanbe. Tajik Foreign Minister Sirojiddin Aslov yesterday met in Riyadh with Saudi Crown Prince Salman bin Abdulaziz Al Saud, who is First Deputy Prime Minister and Minister of Defense of Saudi Arabia. According to the Tajik MFA information department, Aslov conveyed President Rahmon’s official message for the Custodian of the Two Holy Mosques King Abdullah Bin Abdulaziz Al Saud. In his message, President Rahmon reportedly expresses readiness for expansion of bilateral cooperation with the Kingdom of Saudi Arabia and invites Saudi King Abdullah to pay visit to Tajikistan. The invitation was accepted with gratitude.